Week 46: Open Day, creative activity and an exhibition! 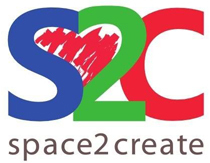 It has been a good week for Space2Create. We had our open day on Saturday to which loads of people came to look round with overwhelmingly positive feedback about our new gallery and studio at The Factory. The Mayor, countcy councillors and funders came to have a look too. We held our regular sessions and also started our Open Studios sessions. If there is a volunteer free to supervise and the unit is not being used then we are opening up the studios for people to come along and be creative. Check our Facebook page and the Open Studio section here to see dates and times as they come up. We are also looking for new volunteers too after a couple of our regulars have moved on to jobs working in art or psychiatric nursing. We are looking for people with various skills. Being able to run creative sessions, help with admin and gallery work or just coming to sessions to support service users by talking and listening. If you are interested then get in touch through our contact us section. Open Day What a great day today for our open day! We had loads of visitors all impressed by the New unit and artwork on display. The Kendal mayor Tom Claire called along with councillor Graham Vincent. We also saw loads of artists, service users and people interested in working with us. Many thanks to everyone involved for their hard work in getting the place ready. I slipped up a bit and managed not to take any photos! 2Create In 2Create we looked at the styles of artists working around 2890 through to 1910, Van Gogh, Boccioni, Kerchner, Picasso and Derain. We discussed their work and the styles and how they were innovative at the time of painting. We then set out to create an image based on one of those. On the Kentmere Ward all the artwork the group produces has been getting a bit untidy so this session the group tidied up and recreated. We took all the many bits off the wall , tidied up the Blutack blobs and worked on different colours ..….recycling a lot of the past pieces of art. It was a companionable and intriguing session..with visitors and old friends dropping in to see what we were up to . We left the place looking much better for our art making ! Mod rock (or alternatively, modroc!) was the theme of the day. One of our Volunteers ran the session, showing us how to create small birds from tinfoil, and then covering the shape with modroc. This was really informative…, and she took time to show us how to achieve the shape that we needed. Others then went on to make penguins and a nativity scene as well as birds; still others in the group drew and needle felted. It was lovely to have someone who really understood the shape of birds to lead us, so we could feel a real sense of achievement. A very supportive session. This week the DeafArt group were experimenting using bright acrylic colours on dark paper to make firework like designs. We have several old frames that have been donated so we decided to be creative with them. We looked at creating some 3D images spilling out of the frame and on different themes. The group were full of creative ideas. and we were looking at taking a few sessions to work on them. The images here are definitely works in progress.